I like to call this recipe “Snodgrass Salmon” because when I married my husband, one of the best things I inherited from becoming a part of the Snodgrass family (aside from a wonderful new family) is this Salmon recipe. It is simple and completely fool proof! When I say that this is a regular at our household, that is an understatement. And I mean it when I say we have it at least once a week. I honestly do not like to eat salmon out because I know it will never, ever taste as good as this classic salmon recipe. Never. 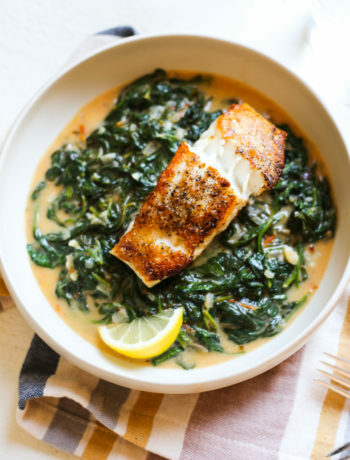 When I first learned how to make this, I was shocked to see that there are only 4 ingredients that go into this amazing salmon. But, it is the best way to eat salmon. No ifs, ands, or buts. I have tried and tried again to beat it, it just can’t be done. On very rare occasions we stray from this recipe just to be fancy. 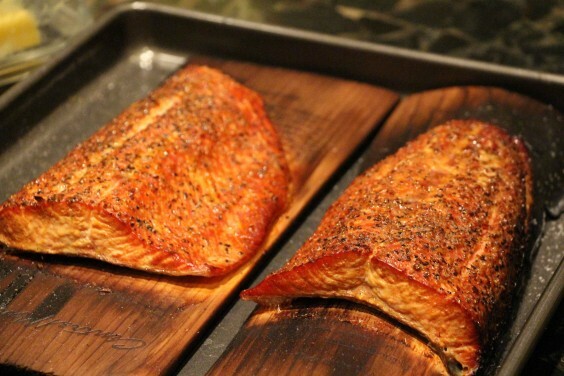 When we do, we cook our salmon exactly how I explain below on a cedar plank. We just marinade the salmon prior to grilling it on a cedar plank, like how we did in our Sriracha + Honey + Lime Salmon Marinade. It is great, don’t get me wrong. Really great. 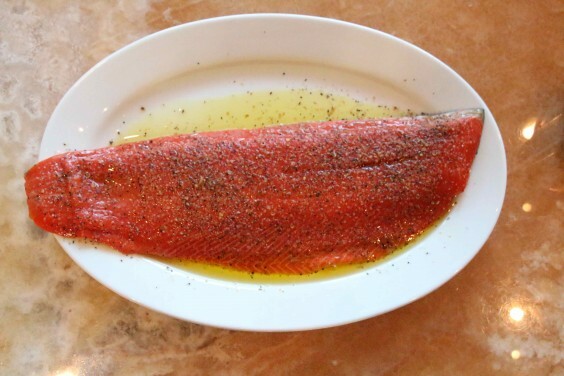 Just not as good as this traditional “Snodgrass Salmon” recipe. 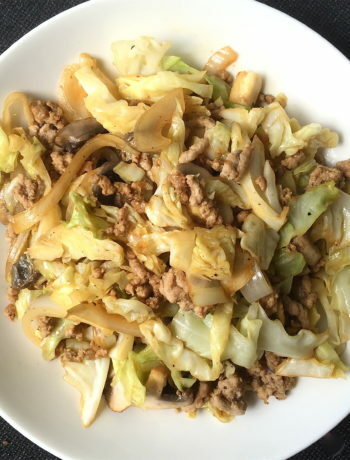 Many, many thanks to my wonderful in-laws for this delicious recipe that I will never get enough of! I hope you all enjoy it as much as our family. 1. Soak Cedar plank for 1-2 hours in water. 3. 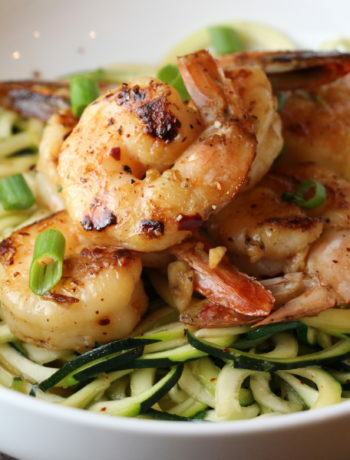 On a plate, drizzle 1-2 tbsp. of olive oil over the salmon. 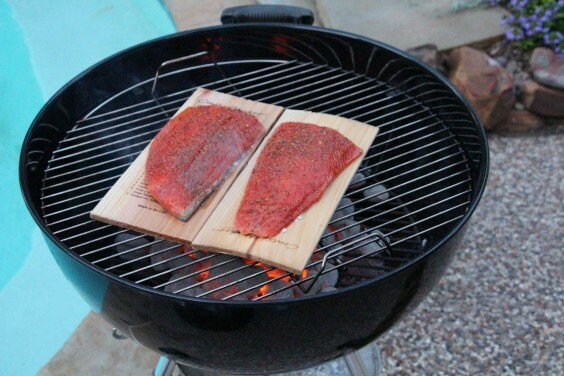 Be sure you DO NOT do this on top of your cedar plank (if it gets oil all over it will catch on fire and your salmon will get burnt.) Rub the oil all of the salmon so it is on it evenly. Now generously season your salmon with montreal steak seasoning (about 2 tablespoons of the seasoning). 5. Cover and cook salmon for EXACTLY 20 minutes. 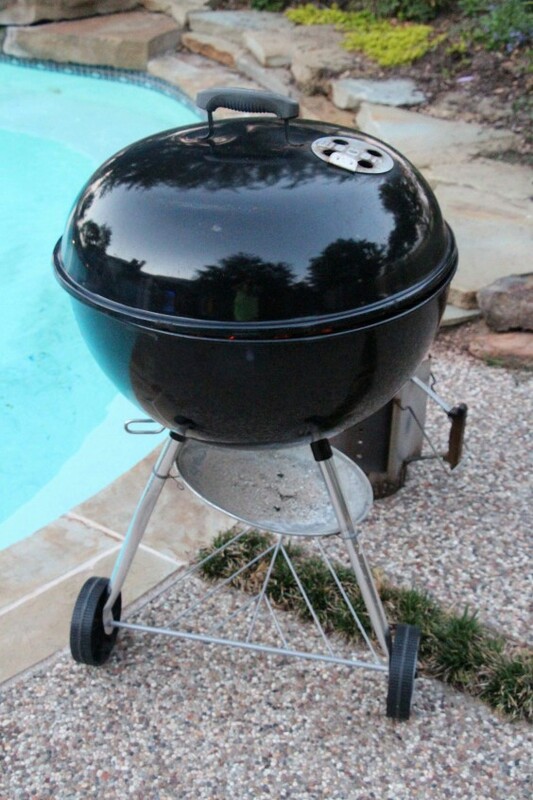 Make sure the vent on your grill is open at the top, and the cover and cracked slightly (see picture).